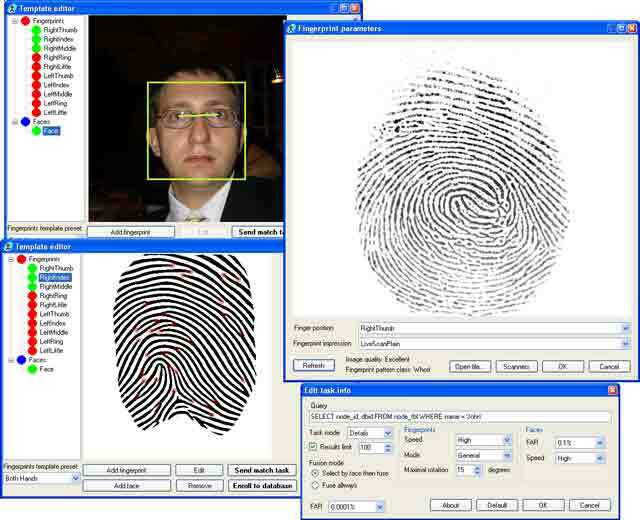 MegaMatcher SDK is designed for development of large-scale AFIS or multi-biometric fingerprint, face, voice, iris and palm print identification system. Multiplatform: Linux, Windows, Android and Mac OS X. Includes matching server and scalable fault-tolerant cluster software. WSQ, BioAPI 2.0 and major ANSI/NIST and ISO/IEC biometric standards supported. ABIS sample for C# and Java. 30 day trial requires Internet connection.